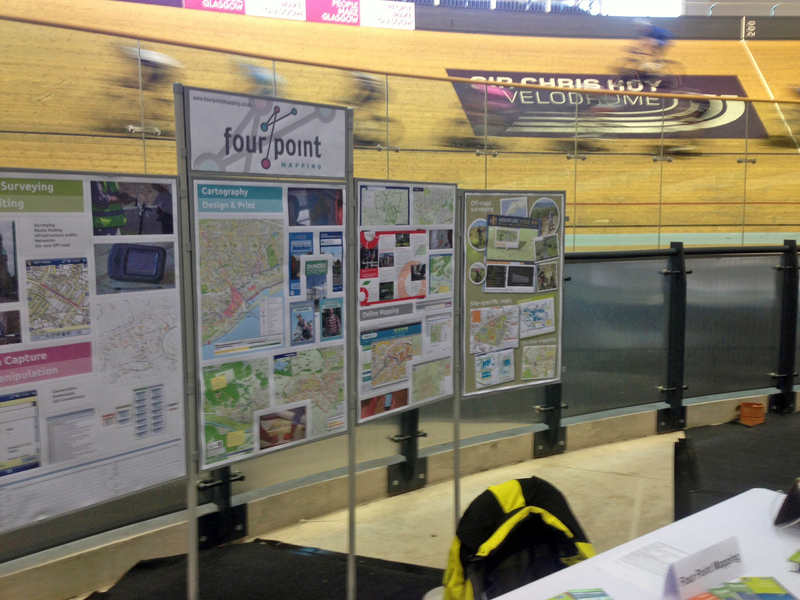 Four Point Mapping showed off its mapping skills at the 2013 Cycling Scotland conference in Glasgow. The conference was held at the stunning new Sir Chris Hoy Velodrome and Four Point’s stand was set against the backdrop of the cycling track. Cycling Scotland is keen to promote cycling as well as build high quality infrastructure and there is no better way to do this than through a well designed cycling map. Four Point mapping has worked for more than 15 years in Scotland since publication of the first Glasgow cycling map in 1997. This entry was posted in Uncategorized and tagged chris hoy, conference, cycling, cycling scotland, glasgow, mapping, maps, velodrome. Bookmark the permalink.